Have Project Server, but going nowhere? We specialize in Project Server. NO ONE FAILS BY CHOICE. NO ONE SUCCEEDS BY CHANCE. leaders for the knowledge you need. Equip your organization with modern business and technology solutions to rapidly adapt to changes in your industry. Assess existing business processes and technology. Determine inefficient processes and outdated technology. Address pain points with improved processes, clearer roles and responsibilities, and with latest technology solutions. Align business processes and cost-effective technology solutions with organizational goals and objectives. Implement new solution and processes. Drive commitment by guiding the organization and engaging the workforce through the transformation process. Optimize organizational performance with re-engineered processes, workflow automation, increased data accuracy and access to real-time data. Achieve governance, transparency, agility, and future sustainability for your organization. Sustain the changes by measuring progress, demonstrating value, and communicating success. Suffering the consequences from outdated project and portfolio management methods and technology? Finding it impossible to manage each project at one time? Our portfolio tool allows for a consolidated roll-up which provides data accuracy, organizational oversight and governance, and improves decision making with portfolio information, such as project health and organizational defined KPIs, at-a-glance. Allow your project managers and executives to make decisions based on true-state data and keep them moving towards consistent business focused goals and objectives. Not sure where the issues lie? Our portfolio tool allows for drill down functionality such as viewing risks and issues related to a project. A feature fit for proactive project managers who are quick to investigate the causes of under performance to solve the real issues. Tired of mundane reports and meaningless numbers? 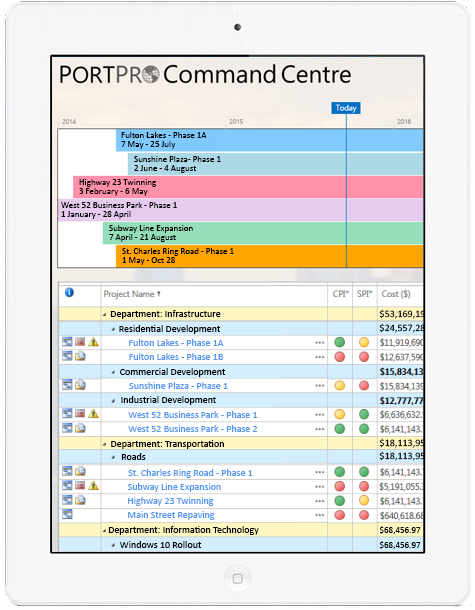 PortPro dashboards and reporting brings life to project data through visual reporting and analysis. Our dashboards and reports provide your team, project managers and executives, with instant access to the latest information, such as performance and key metrics, on projects and portfolios which can be critical to running your organization successfully. Tri-global’s PortPro solution is a cost effective and scalable project portfolio management system with rapid deployment. 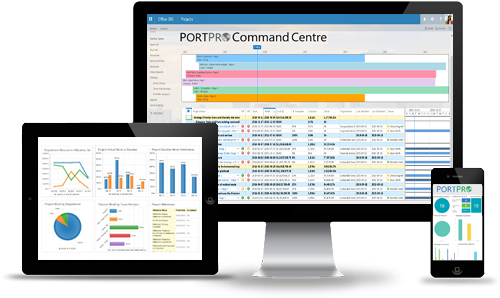 PortPro is available on-premises or SaaS. 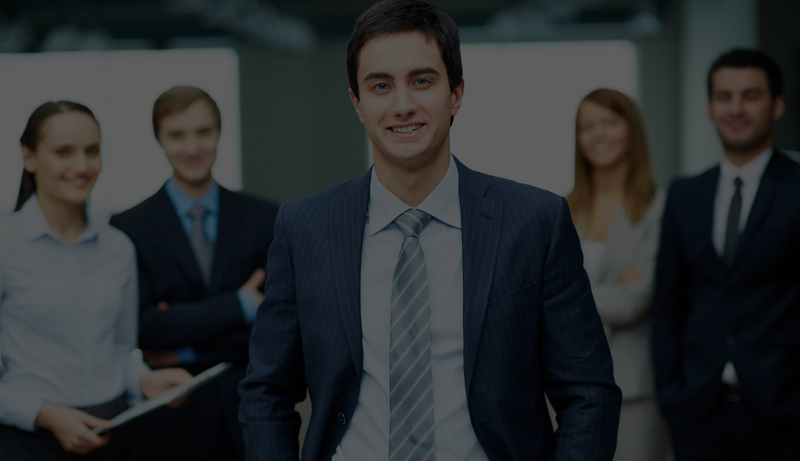 Tri-global Solutions Group is a top management and IT consulting company focused on providing best-in-class services and expertise to our clients in the public and private sectors. We are an award-winning private company with an established reputation for leadership, integrity, quality, and customer collaboration. We optimize the value of our service offerings, by combining corporate and individual expertise with established and evolving best-practices, tools and techniques. We are then able to apply the best combination of methodology, skills, tools and expertise to meet the specific needs of each of our clients. We provide individuals or teams to assist with IT projects, or to build best-practices and expertise within our client organizations. 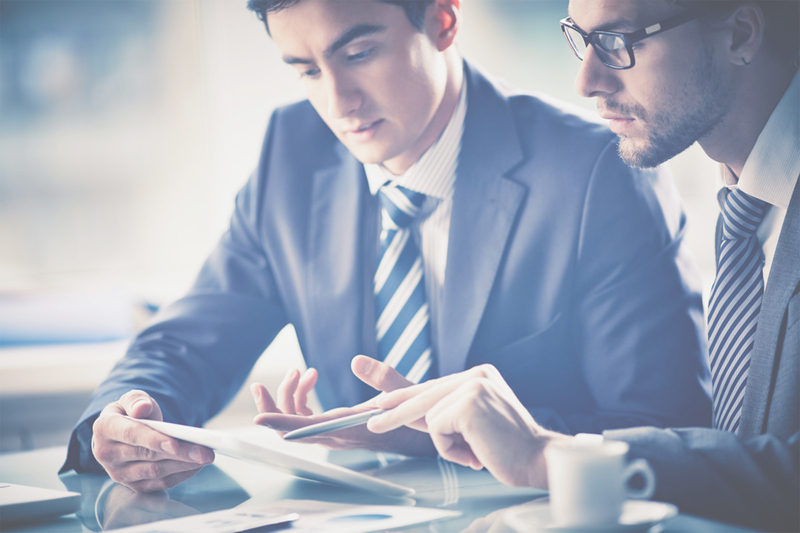 Our consultants offer a range of experience and expertise, and apply proven methodologies and professional practices. We provide a range of advisory services to help our clients formulate and execute strategy, seize new opportunities, implement changes, drive value, and realize their growth potential. We provide expertise, frameworks and protocols to identify your outsourcing needs, select the best outsourcing model to fit, then effectively manage and monitor your outsourced services. We help align the structure and design of your organization for dynamic and effective execution of your corporate strategy. Our holistic and pragmatic approach has allowed many organizations to continually adapt and compete effectively in the rapidly changing world and achieve visible success and measurable results. We help organizations overcome project delivery and management challenges by modernize their outdated project and portfolio management methods. Interested in Online Safety Training? We offer over 300 premium online safety training courses.